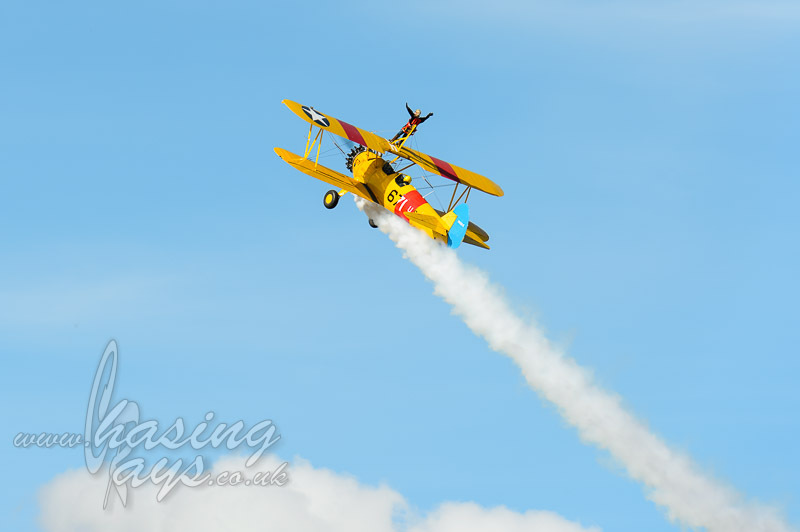 This image was taken on one of Breighton Airfield’s display days, almost immediately after the image entitled ‘Closing the Loop’. The pilot, after pulling a relatively tight horizontal loop, flew some distance past the end of the airfield before rapidly returning and pulling up hard into this climbing maneuver, still trailing smoke for full showboating effect. Please see my gallery pages if you’d like to purchase any of these images (note that not all the images seen in my portfolios can necessarily be offered for sale, particularly portraits).